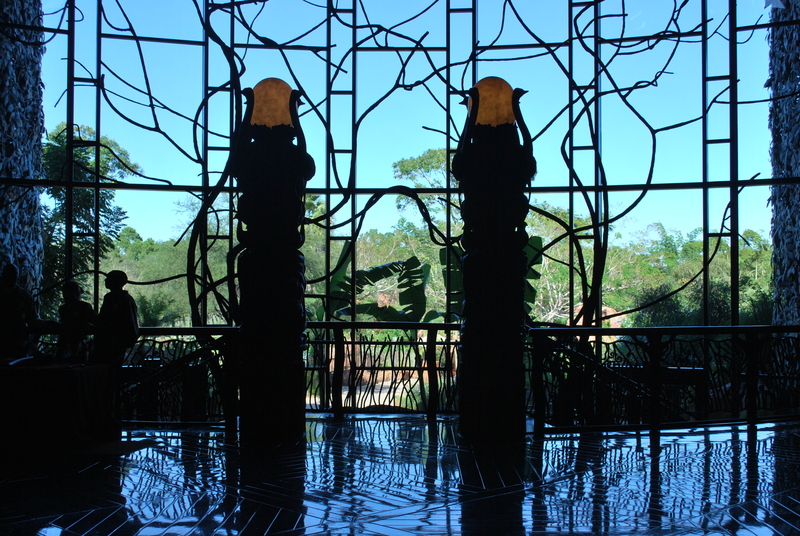 This past October Dave and I stayed at the Animal Kingdom Lodge. I never get to stay on property so this was a great staycation. While we were there, we took some time to explore the resort. I had been here many times, however, I had never truly explored the resort. 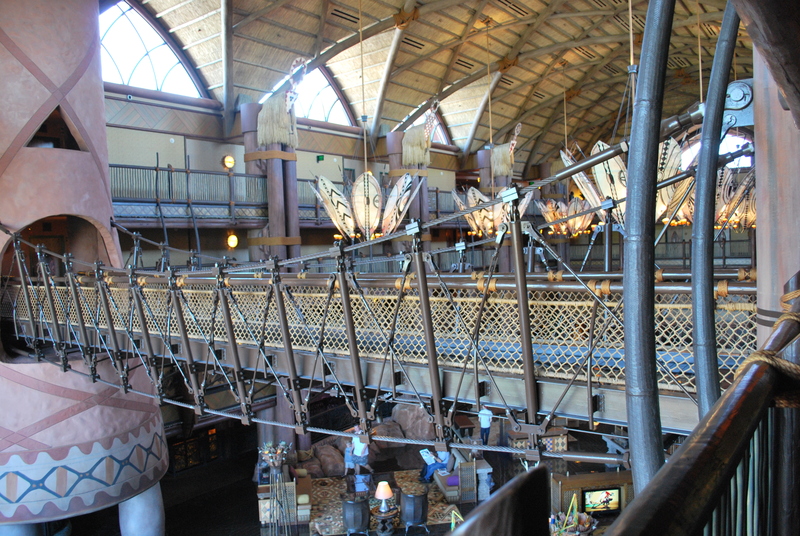 Disney’s Animal Kingdom Lodge has plenty of great places for the perfect proposal. 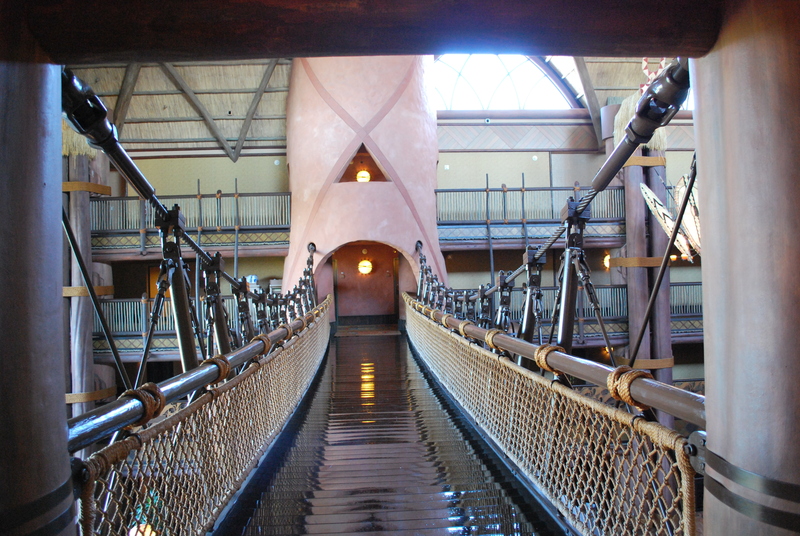 Suspended above the lobby is a bridge that connects the two sides of the Disney Vacation Club floor. To go here you do not have to be a Disney Vacation Club member. Imagine proposing to you love above this beautiful lobby. 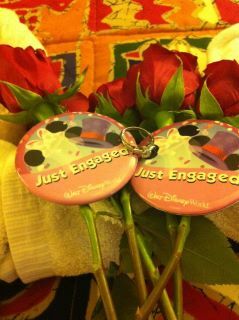 Better yet, imagine proposing during Christmas time when the lobby is decorated with trees and lights! Because of the bridge’s location, it tends to be vacant. It can provide a nice place for the two of you to escape to. There a plenty of beautiful places throughout the resort. Some of these places bring you nose to nose with animals. Dave and I stopped to watch the animal keepers feed birds. You can also find plenty of quite places to watch the animals. Dave and I found these zebras in the most random spot. If a public place is not your style, consider getting a Savannah View room. 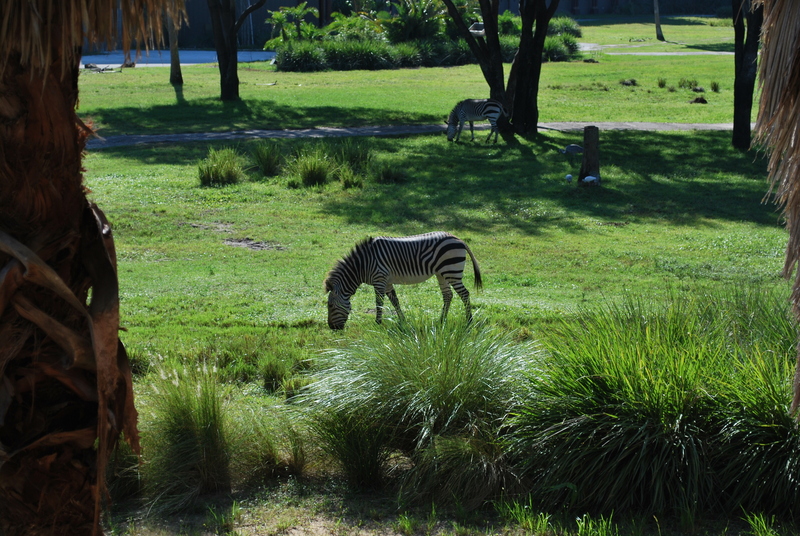 Imagine waking up in the morning and opening you patio to the sights of giraffes and zebras roaming around. Imagine the sun rising and setting a beautiful scene as you propose on the balcony of your room. Also, let the front desk know you are proposing! They can send up some yummy Zebra Domes or perhaps a bottle of champagne. The morning after Dave proposed he went down to the desk to get Just Engaged buttons and the AKL staff gave him flowers to bring back to me. These beautiful red roses were the perfect end to a wonderful day! 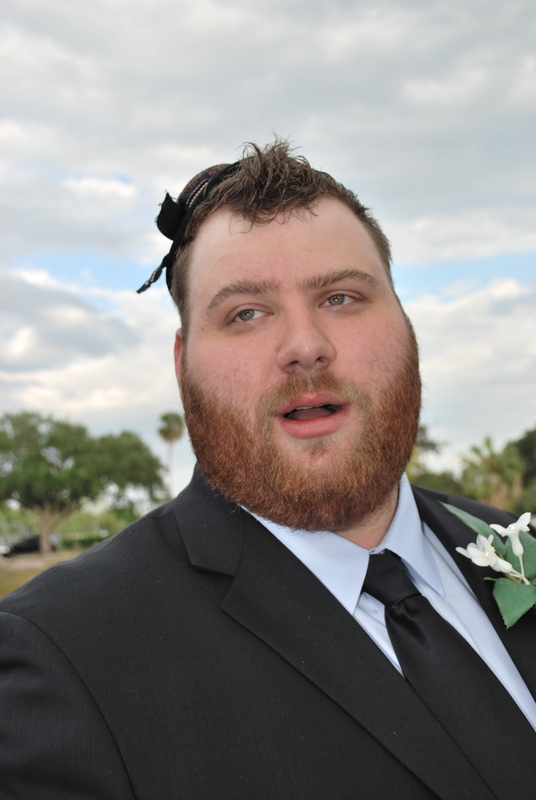 This is going to be a post about the most horrible wedding I have ever witnessed. I would like to state a few disclaimers before I go on. #1. I have NOTHING against small weddings, weddings in parks, receptions at the VFW and so on. #2. These are simply my opinions and if you disagree, please tastefully do so in the comments sections so tat we can discuss this further. #3. I was shell shocked after this wedding and I’m pretty sure David is now scared to get married. Now that those are out, I am ready to discuss what I will call, the wedding from hell. 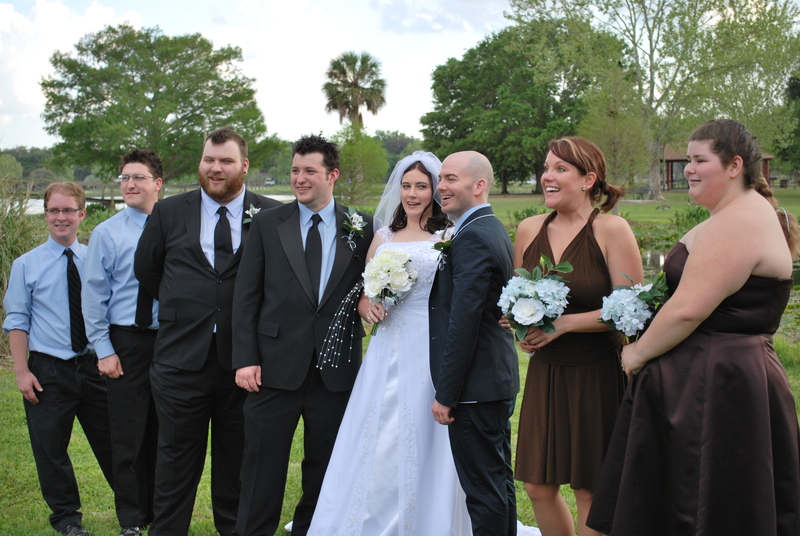 This was the wedding of Dave’s good friend/roommate down here in lovely FL. We both agree that the bride and the groom don’t seem to fit well together, however, love is love and they could be perfect for each other who knows. 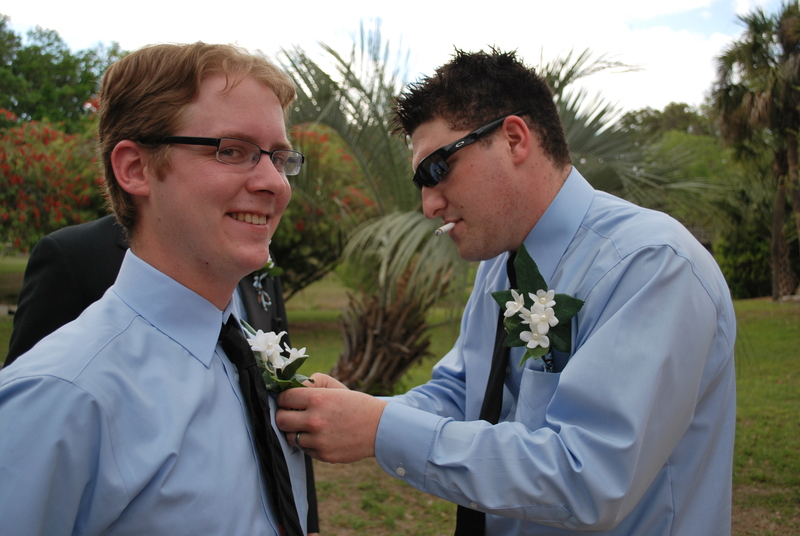 Dave was a Groomsman and therefore was asked to attend everything. The wedding officially ran from Wednesday night until Sunday morning. Let’s start on Wednesday. Wednesday night began the wedding festivities. All friends of the bride and groom went to the local favorite bar of ours for kareoke and drinks. The bride and the groom talked to their separate groups of friends and barely each other the whole night. The bar was smokey and all of their friends, except David and I seemed to smoke. Since Dave had to work early the next morning, we called it a night around midnight. So far, not a bad night. The wedding party and friends pregamed at a friend’s house. Dave and I met them at the club later, they were extremely late and Dave was tired from a long day of work. Another smoking establishment but it was a club and ladies drank for free til midnight. Since half of them were already drunk, it was quite an evening. Again, David and I left around midnight to get away from the smoke. We had seen more than enough for us. Dave and I offered to pick up the best man, also Dave’s friend, at the airport so that the Groom would be on time for the rehearsal just incase a plane was late or something happened. The Groom said no he would get them. Dave and I spent the day together getting things done (we had both worked 14 days straight and needed to take care of the apartment and such). We went to the malls and just relaxed. I’m so glad we did this because they next two days were crazy. The best man’s plane was late and the Groom was late getting back to the apartment for rehearsal. The whole wedding party was late to the rehearsal. Good thing it was a quick rehearsal because we would have never made it for dinner at the Eagle’s Club. I got sick at dinner (they cooked the chicken in the same area as the fish and didn’t clean. I’m allergic to chicken….) so we had to leave early yet again. Dave dropped me off then went over to The Groom’s place for some guy bonding time before the big day. The day all things went wrong. We didn’t have to be at the park until 4 pm an hour before the wedding. Dave and I again were catching up on all things needed to be done around the apartment. We get a call around 2:15 asking us how fast we could be at the Eagle’s Club because we needed to prep the dinner. *Did I mention that the Groom was cooking all of the food* Dave said we’ll get there if we can we were not near close to being ready to leave. We rushed our getting ready and tried to head out before three. That didn’t happen, we left around 3:10 and then there was an accident so we just met them at the park around 4:15 when we finally got there. The gazebo was lightly decorated and there were no chairs! That’s right folks we were standing. Awesome. Probably wouldn’t have been bad if things ran smoothly, but they didn’t. 5 pm rolls around and half the wedding party is still missing. We are all wondering what is going on. No sign, no phone call, worried, pissed, who knows what everyone is feeling. I got some good candid pics of the guys while we were waiting. "I've saving this picture for later." Finally we find out where the bride is. She’s on her way. This is a good time as any to mention that she and her maids drank 2.5 bottles of champagne before getting her into the dress. By the time she made it to the alter, the wedding was over an hour late. And we were all standing. She barely made it down the aisle. During the extremely short ceremony, it was a Justice of the Peace ceremony. The bride and her maids were laughing and unable to keep a straight face. The groom cried, I’m assuming cause he was happy, though I’m not sure. The recessions was interesting with the Maid of Honor screaming jumping on the back of the best man screaming, “My best friend just got married!” And so on. We took some pics, but we were rushed to the reception because there was food to cook. 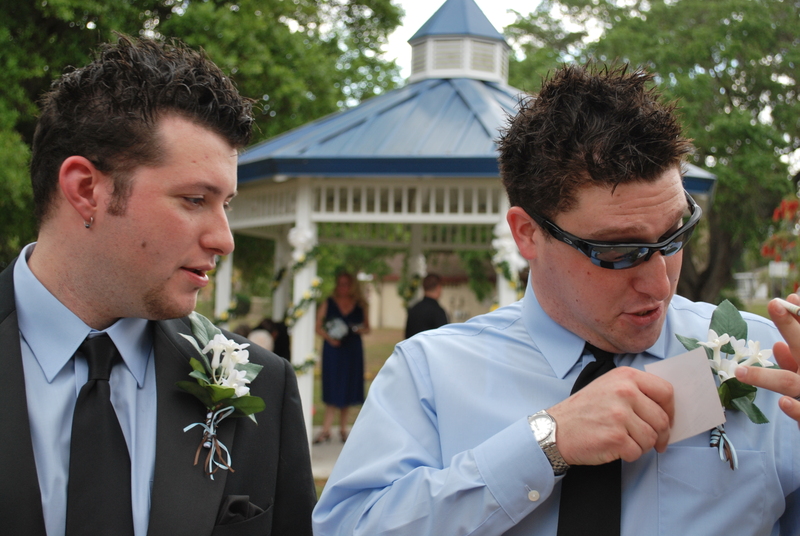 Dave goes off on how disrespectful this wedding was to the guests and to the groom. He can’t believe that the bride did this and so on. Weddings are a big step in life they should be taken some what seriously. We get to the Eagle’s Club and because of how late the bride was, the food is now going in when it was supposed to be served. Cold food, not enough time to heat it all up nor enough space. We were rushed. The groom didn’t help. I mean it was his day, but if he was planning on cooking, he should have given his groomsmen a hand. 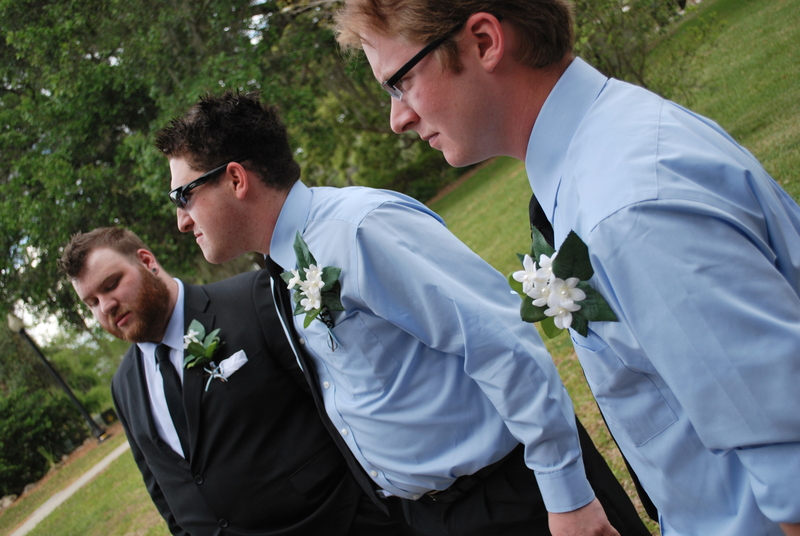 The groomsmen were in and out of the kitchen since they had other duties to preform, which left the best man’s girl and I to keep an eye on the food and prep salads and stuff. Let’s just say Best man, Dave, Best man’s girl, and I = PISSED. The rest of the reception was ok. Pretty normal. The Maid of Honor’s speech was horrifying and he brought up another bridesmaid to help him with his speech. They attempted to rap. Cursed a bit during the speech, and there were kids around. And they just went on and on about random things. I would have been mortified if I was the bride. Dave, Best man, Best man’s girl, and I left an hour early from the reception since I had to be at work at 6 am the next morning. All four of us were not pleased. Like I said, I have nothing against small weddings, Justice of the Peace weddings, etc. However, do it with class. Do it with dignity. This is your day and you are going to remember it for the rest of your life. If you want to be totally blitzed trying to walk down the isle, that’s you. If you have to be that way to walk down the isle, you probably should not be getting married. We have a lot of thoughts on this wedding. We are happy for the bride and groom but at the same time our hearts are breaking. I cried three times on the day of the wedding because I was upset for them. I was shocked at what had happened. I’ve never been to a wedding like this. Friends, if you are going to get married, do it with class. Do it with respect. Do it with love. Please, your guests will be happy and you will be happy!